It may be August, it may be cloudy and cool, but the roses are in bloom filling the air with their delicious scent, lemon and pink and warm and spicy. I’ve shown you pics from this rose garden at Ashton Court before but these are today’s photos, and even stained with rain the roses are still something special. Click on the photos to see them full size. your food, to lend extra enjoyment, to make your mouth water. Sometimes I think the relish is the best bit of the meal. We’ve been eating leftovers for several days now and not really made a proper meal and definitely not had our proper vegetables for a day or two. Our standby relish is usually made with chopped Red Onions, lime or lemon juice, balsamic vinegar, chopped coriander leaves, sea salt and good quality olive oil, sometimes chillis but not always, all stirred together and left to sit for twenty minutes or so before serving. In the mix goes whatever else is around, so with this batch we had little tumbling tomatoes from the garden, a pile of fresh coriander, growing well this year for some unknown reason, some cubed courgettes and a few early milky white and crunchy cobnuts that I foraged when I was out with the dogs. We devoured our relish with some well marbled rib eye steak from Ruby & White, a new butcher/food emporium on Whiteladies Road with a very smart slate/oak/glass interior with friendly, enthusiastic staff, reviewed in The Guardian on Saturday here. All sorts of goodies are on the shelves, Laura Hart‘s lovely bread, marinades and spice mixes put together in the shop and plans for cooking demonstrations in their kitchen to come. My favourite local beef producer however, is still the Traditional Beef Company who come to the Whiteladies Road Farmers Market on the 1st and 3rd Saturdays of the month. They raise their own cattle and have just won Gold in the 2011 Great Taste Awards. This entry was posted in Alphabet in August, Dog Walks, Out and About and tagged Ashton Court, red onion relish., Relish, Rose Garden on 20/08/2011 by Joanna. Really relaxing read, Jo, romantic rambling roses almost make up for the rain! Saltbush lamb? Is that something like our saltmarsh lamb do you reckon? Sounds good. We had a little roast rump of lamb last night with fresh runner (kidney) beans and newish potatoes and red mustard and lots of salad. And Brian decided he is going to make his own cookies/biscuits, starting with a batch of oatmeal and raisin. Not bad at all! Don’t you just love roses??? Roses and peonies are my favourites. I do! I have a couple of roses growing but they are on the back trellis and don’t do so well, they need more sun than I offer them and more ground space. I love this rose garden because it is fairly near and has roses up until November if the weather remains mild. 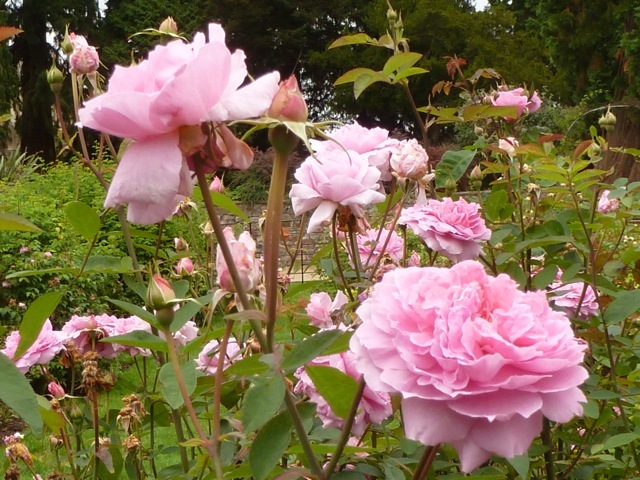 In London there is a fantastic rose garden callled Queen Mary’s Rose Garden in the middle of Regents Park, next to the Open Air Theatre. beautiful rose garden photo’s and a great fresh relish…mmm a great addition of fresh coriander…love the perfume of that relish! Thanks Yvette! 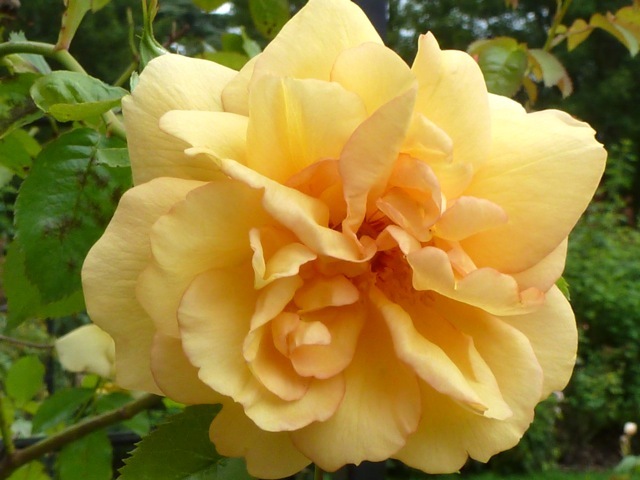 I have been admiring the roses and the pink post on your blog! 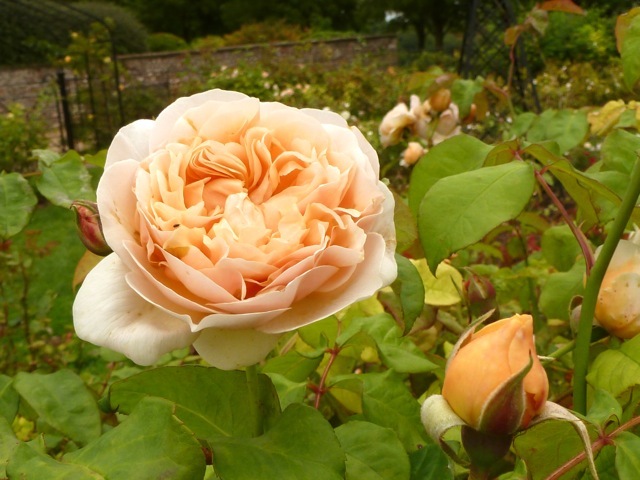 Such beautiful roses – I do so love them. They don’t grow desperately well in Cornwall, but this year they seem to be doing a bit better than normal. I have a beautiful rose that shivers and suffers but just about survives in our shady garden. This year it has managed to produce 4 blooms – a record I think! I love those big old fashioned roses that are so filled with petals they almost burst open! Cultured tea roses are pretty- but for fragrance and opulence give me these big overstuffed roses everytime! Your relish is so colorful- I was thinking to see some cooked and canned green stuff- and then was surprised by the color and range of ingredients in your beautiful FRESH relish- love it! oh I do like roses. I had a bunch when we lived in Palm Springs, CA. I dont have any now. I also love lilacs and peonys, but they don’t do well were we live in Texas. Relish. Love your relish. What an easy way to use up bits and pieces. YUM! I have coriander/cilantro growing in the cooler weather here and love the flavor it adds to so many things. A few years ago I made a spicy zucchini relish and canned it. Loved it but had terrible luck with zucchini this summer. Your relish looks so fresh and crisp. Lovely R – can smell it through the computer.